Led a Samoan Bilingual Team and run the school library. 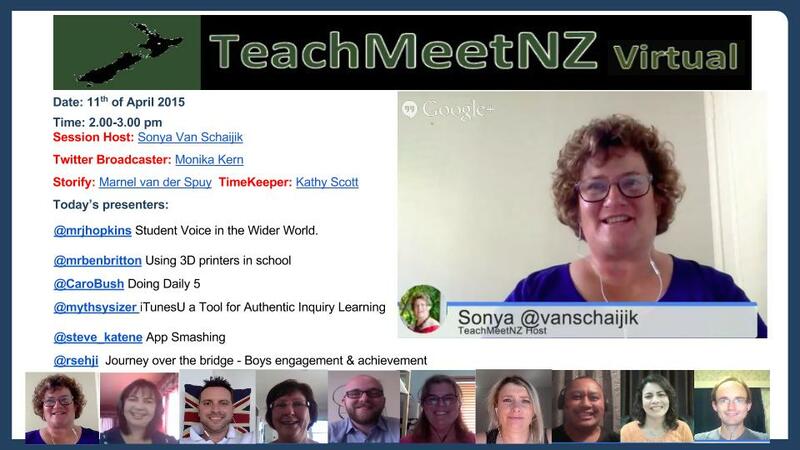 Host a national virtual TeachMeetNZ each quarter and have had 80 educators share their story. With many of these positions, monetary gains, in terms of a Retention unit or a Management unit, are often and have been non-existent. However, the teacher leadership experience has enabled me to learn about distributed leadership. The lack of monetary recognition is minor compared to my vast ongoing personal growth, critical reflection with professional development, community experience, networking, mentoring and being mentored, and having access to a range of knowledge, skills, mentors and leadership practices which have been part of my learning journey. With this reflection I intend to look at the leadership practices associated with the concept of distributed leadership. I will examine both the educational and the practical utility of this approach to leadership. The reason I have undertaken this task is to further my own understanding about developing leadership in teachers as I believe teachers also need support, guidance and encouragement to undertake many tasks that sit outside their normal classroom practice and yet is an indication of leadership. My personal inquiry is to continue to explore the greatest variance that makes a difference to student learning and that is the teacher. Leadership also plays a role in making a difference to student learning and in particular distributive leadership. The concept of distributed leadership. In my readings, I found varying concepts of what distributed leadership is. Key ideas associated with distributed leadership, such as sharing, growing leaders within an organisation, recognising skills and knowledge, mentoring, group responsibility, group accountability, critical reflection and self efficacy appealed to me. I found defining distributed leadership in a way that made sense to me, increasingly challenging. Probably the closest term to describe what I believe distributed leadership to be, is an organism that grows and changes depending on the environment it is in. It is constantly changing, living and adapting. MacBeath (2003) defines distributed leadership as ‘something in the gift of a head teacher, allocating leadership roles magnanimously while holding on to power.’ Hence the term distributive which implies a holding, or taking initiative as a right, rather than it being bestowed as a gift. In other words, it is a value or ethic, residing in the organisational culture. Harris (2008) defines distributive leadership as leadership shared and extended within and between organisations. I strongly believe that distributed leadership also has heroes. Bass (1997) describes them as ‘transformational leaders with highly developed moral and ethical values that reflect the culture and community that they work in’. However, they are far from the ‘super hero’ concept. They stand out because the decisions made within an organization are based around their ‘inner voice’ input. They have people at the heart of all decision making. 1) An emergent property or network of interacting individuals. 2) Openness of the boundaries of leadership. 3) Varieties of expertise distributed across the many, not the few. I intend to take these elements and explore them further under practices associated with the concept of distributed leadership. The leadership practices associated with the concept of distributed leadership. Using the above elements, I will clarify what they are in leadership practices and because I am a teacher, I will reflect back on practices I have observed. Element 1) An emergent property or network of interacting individuals. In the research I read, the term Teacher leadership appeared regularly. This first came to my attention with the work of Senge (1990). I thought that this term clarified the first element discussed. In describing practices associated with teacher leader, I found it exciting to use the word Teacher Leader as an acronym and to search for practices that describe each letter. The following is what I developed around the various researchers. Teacher leaders are action researchers who regularly use qualitative data to guide their practice. They are action researchers, peer developers, mentors and decision makers. Emotional intelligence is one of their traits as described further by Fullan (2001). They have high ethics and moral values that reflect the culture and community with whom they work. Teacher leaders act and think sensitively to the school culture in which they work. They critically reflect on practice and are constantly changing, adapting and improving their practice. They are committed to self-review and actively encourage critical feedback from their peers and students. Teacher leaders have high student achievement and work with qualitative data. They seek out embedded professional development that focuses on pedagogical knowledge and subject knowledge. They are morally responsible for improving the quality of instruction- not just their own but also the peers with whom they work. 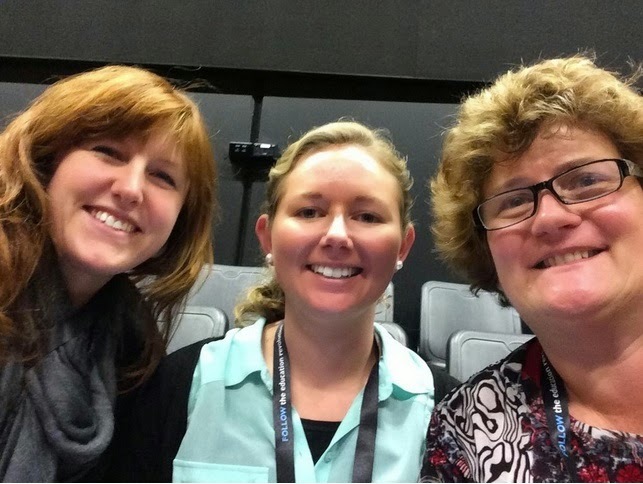 Teacher leaders learn to create and manage learning culture. They have ethical principles, which drive their decisions. They acknowledge all stakeholders and are active stewards in the role they lead. They are daily communicators and ensure that information is accessible to all with whom they work. Teacher Leaders are effective educators. They see one of their roles in education as supporting leadership activities with resources. An example of teacher leader is the Sustained contract we were recently a part of. The delegated lead teachers and senior management pooled their ideas and expertise, and shared them around the schools within the cluster. At the same time, staff within the schools were part of the skills and expertise group. 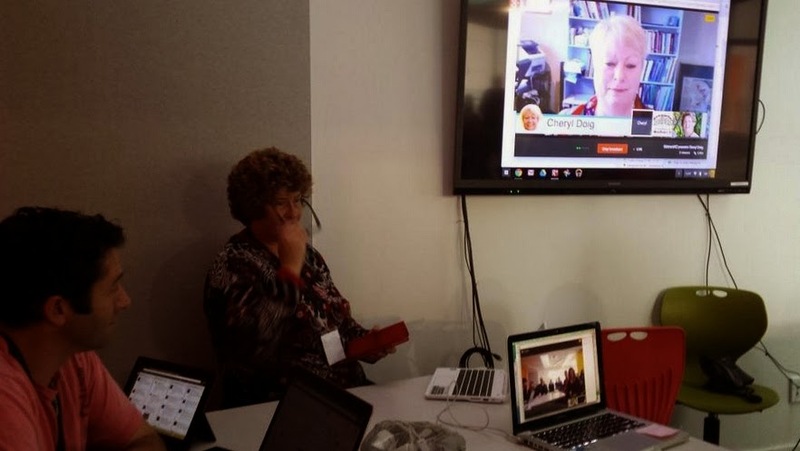 If any teacher showed signs of leadership within an area of digital learning or SOLO Taxonomy they usually contributed to the cluster, by sharing their skills and expertise. Everyone within a school was accountable and responsible for the success of the contract. Benchmarks were monitored, feedback was given and qualitative data gathered. This data was used to drive the next round of professional development. I became really skilled at curating evidence of our teacher’s learning and continue to do this even now. However, in this case when I focus on the practices of leadership, I am writing about leadership practices associated with the concept of distributed leadership. Leadership is about life long learning and is an inner drive about self-improvement in order to better interact with others. It is about empowerment. Empowering the learners, the peers, and the community that all are part of the community of learners. Leadership is guided by action research and can begin with a simple question. Leadership is distributed. Leadership is about examining practice and using reflection to guide the practice. At Newmarket School nearly all our staff have taken this onboard and have developed their own reflective blogs. LEadership is about shared decision-making. One of Lambert’s (2002) key assumptions about leadership is that ‘leading and learning must be shared because school change is a collective endeavour.’ We know the importance of this at our school. I always say to our staff show me your example of what you are asking the children to do. A classic example of this is creating videos or asking the children to write. Finally leadership is about a professional learning community. Sergiovanni (1992) discusses the importance of ‘building a learning community by reorganising educational values, beliefs, and practices’. I have established a learning community outside of school with the work I carry out with teachers on the #TeachMeetNZ project. I have explored many digital communities with our staff and each year brings a new one. I have recently set up one in Edmodo because maybe this year is the year where I can get more than a few contributing in a visible way. I think back to the work of ULIMASAO bilingual teachers association to raise student achievement for Pasifika students in South Auckland. This is leadership in action, the association worked with school principals, teachers and the community to raise awareness about the benefits of Pasifika Bilingual Education. They used Cummins’ (1996) research on community empowerment, and Colliers’ (1987) research, to drive best practice for student achievement. The community was very much a part of the process. All involved in the children’s learning are responsible and accountable for their achievement. Students’ results drove the work of Ulimasao. 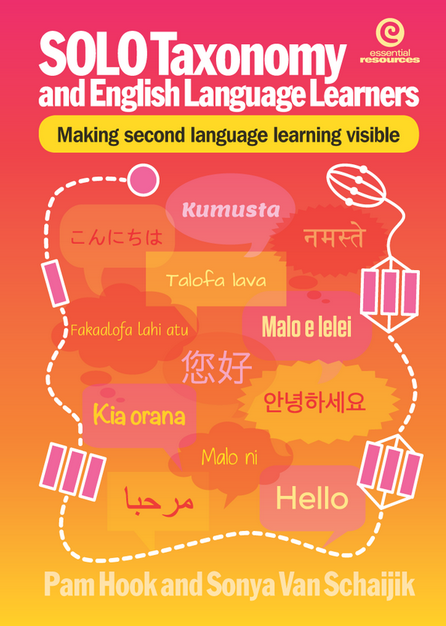 Pasifika Teachers came from all over Auckland to share best practice ideas, to support and nurture any new teachers, principals and community to Bilingual Education. This was leadership in action. Element 3) Varieties of expertise distributed across the many, not the few. In order for varieties of expertise to be distributed across the many, not the few, the following leadership practices are necessary. Distributed leadership is about actively taking responsible roles. Teacher leaders focus on instructional change. They have implicit and explicit goals. Distributed leadership is about building sound relationships by strengthening webs of social relationships. It is about being a social architect. This concept is about understanding culture, symbols, rituals, ceremonies, and traditions. It is about knowing the community in which you work. This is telling our stories, and redefining our goals in educational concepts. From my previous experiences in Catholic Schools I believe that telling stories is particularly strong in Catholic School. My past schools celebrated and revisited their history each year. They created memories that were archived and shared with the community. I try and do that at Newmarket School with the wiki that was created for this very task. However because I often am the only person curating memories of our stories in a digital way that the work can be overwhelming. Transferring control is another principle of distributed leadership. 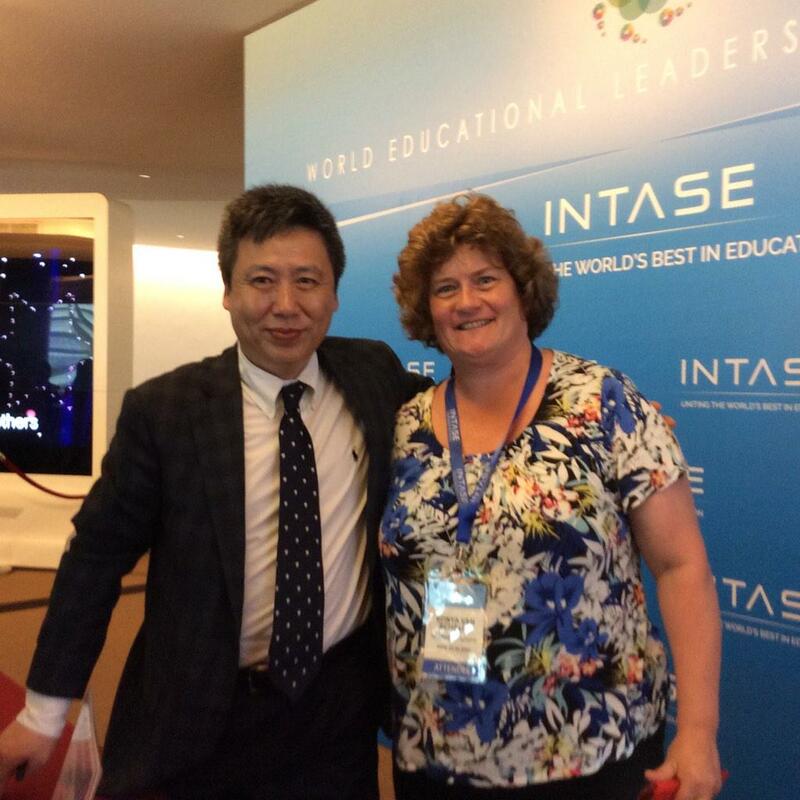 It is about sharing leadership even when the school leader makes limits explicit. It is about examining daily practice and embracing the daily macro and micro tasks and using them to critically reflect on daily practices. When all elements are aligned, the result is improved academic outcomes for all. Often the teacher thinks that this is a top down approach but as our understanding of accountability develops and our understanding that we are all on this journey together for the success of our children then this becomes ‘business as usual’. Likewise, in a Catholic school, a similar process takes place. Leaders are appointed to be a steward of the school for which they are responsible. However, the role goes further than that. Leaders are responsible not just for their school, but also for the schools in their neighbourhood and all the surrounding community. When they come together, they become one group, one concertive dynamic which pushes the world along. Te Hiringa i te Mahara, the Power of the Mind Project by the Ministry of Education uses this same concept – we are all responsible and accountable, for each other as teachers and for our children’s learning. Educational significance of this approach to leadership. How are we preparing for the future? Taking the elements already discussed, I revisit them and view their significance to distributed leadership. Schools cannot change teachers’ behaviour unless they discuss the teachers’ beliefs and values first. Fullan, Rolheiser, Mascall and Edge, 2001) argue that ‘Real change, occurs when teachers are fully engaged as active agents in the process of research and development and when it observes the three cardinal principles of responsibility, mutual accountability and collaboration.’ I have often used the term active agents of change and compared it to baking powder in baking. When baking powder is added the cake rises. At the same time, I use the term disruptive educator or the educator who asks the tough questions. The educator who questions the why of the system. Part of accountability is standing up and asking the tough questions of people leading our schools and leading the education system. As we prepare our students for a future that is changing, it is not easy to prepare for a moving target. The work place of the future is continually changing and evolving. Teacher leaders recognise this paradigm and use it as a challenge for self-review. Teacher leaders must be life long learners. They must learn new ways of learning with the students that they teach. Element 2) Openness of the boundaries of leadership. Leaders must forge closer links with external influences that help shape the system. Sometimes, a true leader is able to be a led. They understand that by employing great people and know when it’s time to get out of the way. Johansson (2006) discusses distributed leadership in depth. Leadership is about going beyond the four walls of the classroom and even including the students themselves. Leadership is about a professional learning community; it is about shared community knowledge and is organisations and people focussed. Prior knowledge is acknowledged. All members are empowered and are committed and accountable to the vision. There is trust between all stakeholders and normality is diversity. An evaluation of the practical utility of distributed leadership to leadership. When I refer back to the practices of distributed leadership, I have chosen to focus on five aspects to evaluate. There are: shared leadership, common vision, outside constraints, budget constraints and time constraints. The leader must be open to shared leadership. Some leaders could feel threatened as they feel their leadership role is being eroded when they share the leader role. It can be equally frustrating for those who prefer to have someone lead him or her. For distributed leadership to work, it helps if everyone in the school has bought into the school vision and goals. This works well in the New Zealand integrated school system, which allows only 5% to be a different faith. The Private Schools Conditional Integration Act 1975 dictates this. However, in Australia, where Catholic schools, are private schools, not integrated, some schools can have as many as 40% of their students from other faith, or no faith traditions. Distributed leadership would also work in a Bilingual Unit, such as O le Taiala, in Findlayson Park School. Parents, students and teachers buy into the concept when they apply for their children to be included in the units. There are other examples of schools having a common focus. Examples include a schools with an elearning lense such as the schools in the Manaiakalani cluster, or a school based on Emilia Reggio principles. Difficulties can arise if not all stakeholders have bought into the concept. Such stakeholders must suppress their own views for the sake of the school’s common vision and goal, even if they are not in agreement. Outside constraints can affect the common vision, and these have implications on distributed leadership. Distributed leadership is about setting the communities’ educational goals. However sometimes outside agencies dictate the education goals. Examples of outside constraints include the Ministry of Education in their National Educational Goals, the Education Review Office in their school reviews, and the Proprietors of Special Character. Professional development is central to the idea of distributed leadership and the opportunity to critically reflect on one’s own self. However schools’ budgets are usually limited, therefore any money spent on professional development needs to be seriously considered, as in practice, the concept of distributed leadership takes a long time to implement and carry out. When leadership is distributed, more demands are placed on individual leaders. It takes time and commitment for school leaders to build a professional learning community. It takes dedication for a person to take on more responsibilities over and above an already heavy workload, and also to reflect on their learning while so doing. I know when I ask staff to do this I am asking a lot. When they reflect on their learning I make a special effort of acknowledging this and give them written feedback on their posts. I also give them a shout out on social media. A passionate belief in education is required to undertake leadership roles, which often comes with no extra monetary gains. I share this from personal experience over the thirty years that I have been teaching. Many times I am asked, ‘why do you run learning sessions for teachers?’ My response is ‘why not.’ I am an older teacher and it’s time to give back. I also take great pride in seeing their development. I take an even greater pride when I see this transfer to their classroom practice. Ultimately a learning teacher is learning children. Even with the challenges associated with the practical utility of distributed leadership, my current belief in this form of leadership is effective in sustaining lasting effective, learning environments. I identify with the Helen Keller quote, which I have rephrased to suit a school situation. ‘The tiny pushes from each stakeholders pushes the school towards a goal of long-term effective learning environment for all.’ My background has distributed leadership as a way of making decisions. From the Samoan Matai system, being taught and having teacher leadership modelled in the many of the Catholic schools that I have attended and taught in and having led a Samoan Bilingual Unit where as a team we had a common goal of student success. My current role is with second language learners and the teachers who teach them. We all have the common goal of student success. Distributed leadership can be seen as a weakness in the current market of instant outcome based models, but I view the aligned elements of distributed leadership as a clear pathway to improved student achievement and the future for lifelong learning. Distributed leadership creates a professional learning community that continually reflects, grows and changes depending on the environment it is in. When I reflect on my understanding of distributive leadership using SOLO Taxonomy, I can define and list elements and practices and am beginning to make links with what is happening at our school. I can see that we are growing stronger as a staff in distributive leadership but still have a way to go. Analysis of data suggest that distributed leadership impacts positively upon student achievement. (Hallinger and Heck, 2009). But change takes time because the whole school needs to come on board with the concepts and share the same vision. At Newmarket School we have recently embraced Google Apps for education. I can see the visible learning of our teachers. Our teams have changed and teachers have new roles and responsibilities. I can see our professional learning community constantly changing, living and adapting as we move to a deeper level of learning cultures. I hear ‘Business as usual’ and for me that is the way we do things at Newmarket School and that is growing leadership capabilities in our teachers and our students. Finally a shout out for my friend Greg. We need to have another chat Greg. Bass, B. (1999). The Ethics of Transformational Leadership. Academy of Leadership Press. Collier,V. (1987).Age and Rate Acquisition of Second Language for Academic Purposes. TESOL Quarterly, 21 (4). 617-641. Fullan, M., Rolheiser, C., Mascall, B. and Edge, K. (2001) Accomplishing Large Scale Reform: A Tri-Level Proposition. Toronto: Ontario Institute for Studies in Education, University of Toronto. Harris, A. (2008) Distributed leadership in schools: Developing the leaders of tomorrow. Routledge & Falmer Press. Leithwood, K. and Jantzi, D. (1990). Transformational Leadership: How Principals Can Help Reform School Cultures. School Effectiveness and School Improvement, Vol 1, No.3, pp 249-280. Murphy, J. (2002). Recultering the profession of educational leadership: New blueprints. Educational Administration Quarterly, 38 (2), 171-191. Sergiovanni, T. (1992). Moral leadership : Getting to the heart of school improvement. San Francisco: Jossey-Bass.